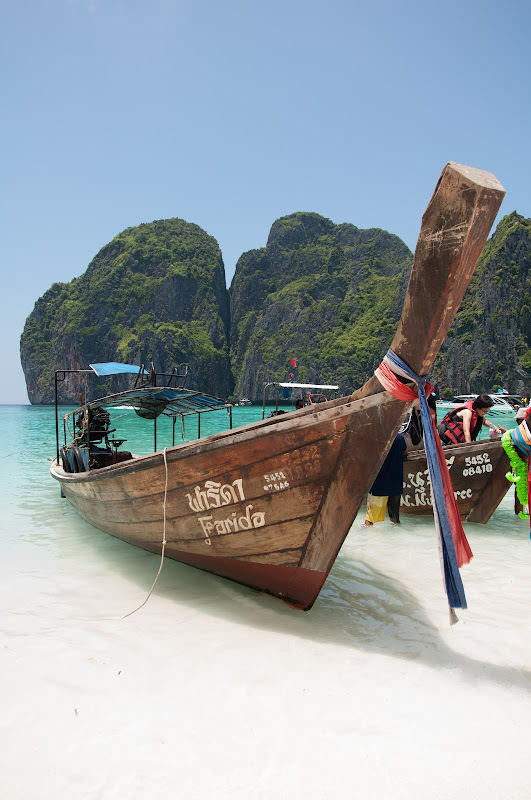 Koh Phi Phi Leh is an island of the Phi Phi archipelago, in the Andaman Sea. It belongs to the Krabi province of Thailand. 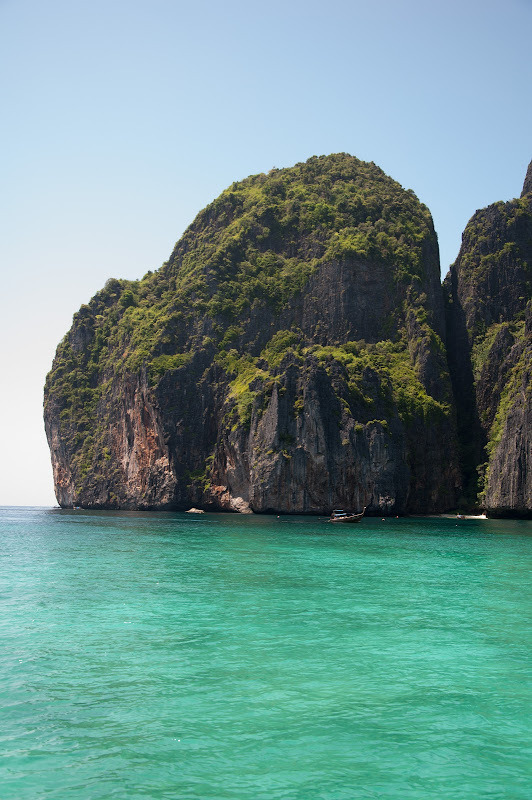 Maya Bay is popular for diving, and has become even more popular after the movie The Beach was filmed there. 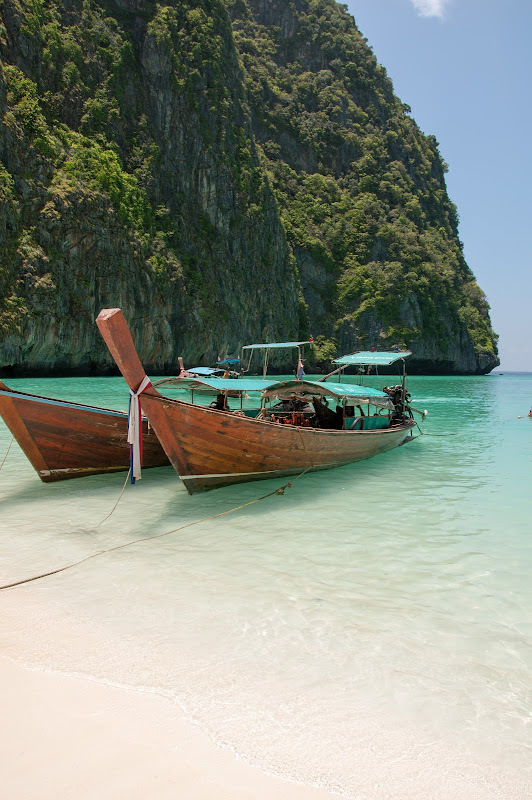 The beach at Maya Bay is magnificent and therefore very popular with tourists. 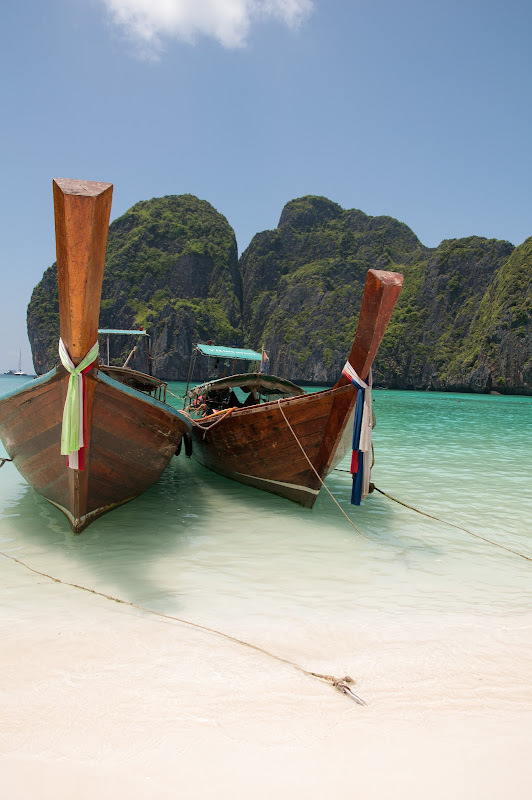 As a result, there are tons of long-tail boats moored along the beach. 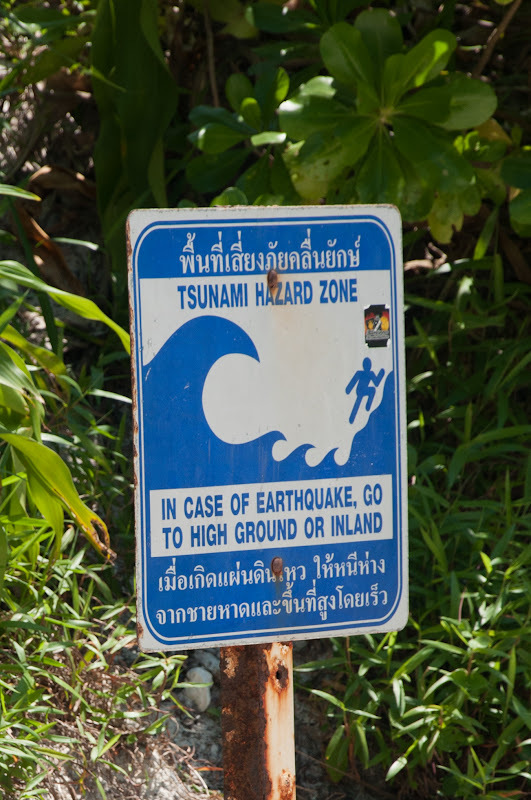 According to the Lonely Planet's Thailand guidebook, the 2004 tsunami dramatically improved the look of Maya Bay. This was due to the fact that the high waves had cleaned up the beach and removed all of the landscaping the Fox movie production team had added.